Originally a Baldwin-built 2-8-0 of Reading Class I-10a of the mid-1920s, probably No. 2044, the engine was completely rebuilt into a virtually new T-1 Class 4-8-4, No. 2124, in January 1947. 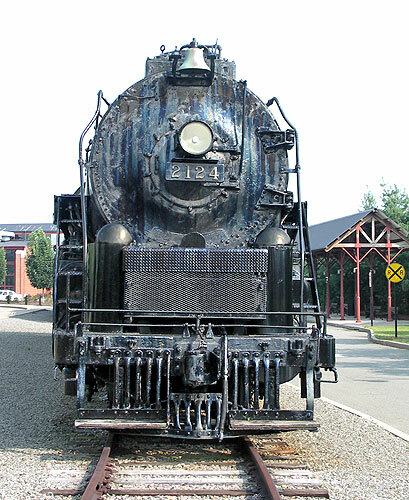 In August 2006 it is on display at the Steamtown NHS in Scranton, PA.
Reading Company Locomotive No. 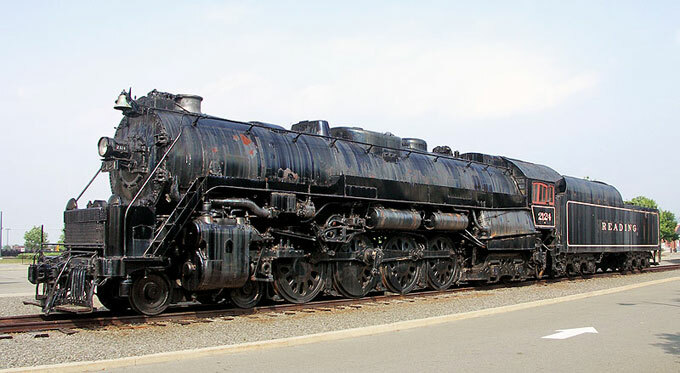 2124 became a nationally famous engine, because of its use on railroad-enthusiast excursions, the famous "Reading Rambles" of the 1960s, when she and sister engines hauled trainloads of people at a time when steam engines had nearly disappeared from the nation's railroads. She also appeared in the film From the Terrace with Joanne Woodward and Myrna Loy, which was shot at Jersey City, New Jersey in December 1959.